For many college students, what happens outside the classroom is just as impactful as what they learn from their professors inside. A number of important life lessons and soft skills cannot easily be “taught,” but are instead learned through experience. College leadership programs for students are one way that some universities foster leadership through structured experiences. These offerings often extend beyond the classroom and provide one of the most important life skills—something students should take advantage of. Shino Simons, Ph.D., vice president for student life at Azusa Pacific University, knows firsthand the benefits of different on-campus leadership opportunities and encourages students to find ways to get involved. While working toward a degree, college students are provided the chance to lead others through a number of extracurricular and co-curricular experiences, which can help create more well-rounded graduates. For instance, students can hold important leadership positions by serving as a resident advisor, on the student government, or through service leadership. At APU specifically, students can also make a difference through one of the school’s Action Teams, as well as through local nonprofits or churches. “Our students have incredible heart and desire to love others through these opportunities and they learn what it means to value people, see others, and become Jesus’ hands and feet,” Simons explained. Azusa Pacific University offers structured opportunities that encourage servant leadership and provide access to experiences that many students have never encountered before. “We encourage our students to engage with others and learn to invest in their community,” Simons noted. “Whether these engagements are on- or off-campus, it is important for our students to be in community with others and put their leadership skills into action.” The university boasts more than 500 student leadership opportunities on campus each year, which APU leaders look forward to developing and continuing to grow, she added. Through the school’s Bridges Program, students preparing to become Alpha Program leaders visit areas within urban San Francisco to serve the homeless community. As Alpha leaders, they are trained to nurture incoming freshmen during orientation (as well as throughout the school year). The program emphasizes servant leadership, which focuses more on humility than power. 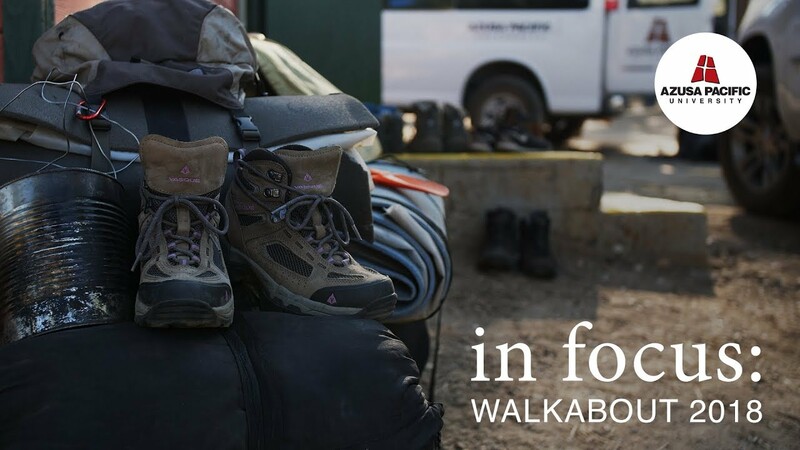 Additionally, the Walkabout wilderness training program takes upcoming resident advisors on a 10-day backpacking trip through the Ansel Adams Wilderness to prepare them for the varied and unpredictable challenges associated with the responsibility of campus leadership. Leadership is a timeless virtue that employers value deeply. It can often be difficult to convey leadership experience on paper, as it is a quality that is typically earned and conveyed through experience. However, college leadership programs for students are a great way to hone this important skill and to convey their experiences to future employers. Are you interested in honing your leadership skills and working toward a degree in Southern California? See how Azusa Pacific University can help you explore your options and chart a career path.